This type of Rudraksha symbolizes Lord Shiva himself. Generally it comes in the shape of cashew nut or half moon. The owner of this possession shall always have prosperity and fortune worldly pleasures, success, power, victory over enemy. 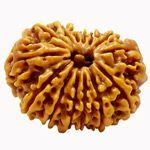 Good social and financial status and positive worldly perspectives are bestowed upon wearing one mukhi Rudraksha. One mukhi Half Moon clears the Consciousness of the possessor. It also improves concentration and mental constitution of the wearer. It is said that the wearer enjoys all comforts of life and remains unattached if he possesses this bead. Two mukhi or face Rudraksha symbolizes the unite form of Shiva Parvati, also commonly known as Arthanareshwor. It harbors immense mystical power. 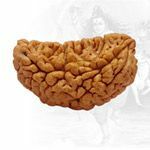 Vedic scriptures boost about the belief that two mukhi Rudraksha carries the entire evolution of cosmos within it and thus it is a special blessing to mankind. Two natural lines or faces are found on two mukhi Rudraksha which is its key identification. It comes in oval shape. Besides Hindus, it is also considered extremely sacred by Vaishnavaites. Vaishnavism religion perceives it as the symbol of Lord Vishnu. 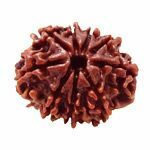 The use of two two- mukhi Rudraksha beads fastened around a red thread activates its immense power for reaping maximum benefits. 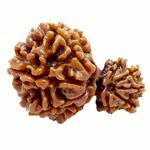 Four mukhi Rudraksha symbolizes Brahma and is also worshipped as the symbol ofChaturanan. 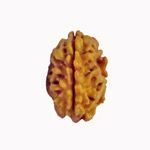 Visually, four linings from head to bottom are observed on four mukhi Rudraksha at equal distance. This signifies the four facets of Brahma leading to humans eternal quest for knowledge, meaning, action or fate and freedom. If a person wears it on neck or on arm, s/he can attain enormous benefits. 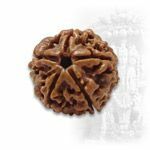 Seven mukhi Rudraksha is regarded as the representation of Saptarishi (Seven Greatest Sage).Vaishnavism belief that seven mukhi Rudraksha represents Avanta, the king of serpents who is believed to be the incarnate of Lord Shiva himself. Each face on the Rudraksha represents one great serpent. Energized beads can be placed in a locker containing money and other financial assets or in a prayer room to reap positive output.It releases a man from poverty and miseries. Its use is especially beneficial for those who are into business. Eight mukhi Rudraksha is the symbolization of Lord Ganesh. 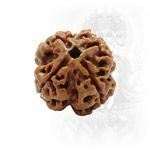 It has eight linings displayed on itssurface.One can just wear one bead of eight mukhi Rudraksha for attaining anticipated results for any new work.It is coupled with numerous gains leading to physical, mental and spiritual well-being. It works wonders for people who are accident-prone. It keeps one away from unpredictable accident, misfortunes, obstacles and miseries. A nine mukhi Rudraksha represents goddess Durga, a symbol of power and courage. It is believed topossess power of nine deities, also called Navadurga. It also represents god Yama, god of death and sage Kapila. Based on the scientific researches, Hindu scripture proudly boosts that the use of nine mukhi Rudraksha on a body specially if worn stimulates the hormonal function of the body and this enhances mental alertness and sharpness, physical strength, mental peace, spiritual gain, concentration power, patience, control over anger and fear and communication skills. 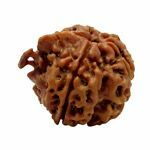 Ten mukhi Rudraksha symbolizes Lord Vishnu and is also believed to represent Dusavatar meaningseven incarnations of Lord Vishnu. In Shiva Purana there is a detailed mention of how everyone irrespective of caste, creed, religion, nationality and gender can use ten mukhi Rudraksha for attaining fame and success in carrier. Srimaddevibhagavat have also sung songs of praises on ten mukhi Rudraksha for its divine contribution in rescuing mankind from worldly sufferings, miseries, misfortunes, evil power and adverse planetary effects. Vedic scriptures state that eleven mukhi Rudraksha represents the eleven forms of Lord Shiva alsocalled Akads Rudra. Amongst the eleven forms of Lord Shiva, the eleventh form is Lord Hanuman. According to the ancient religious texts, several great sages have worn eleven mukhi Rudraksha during their meditation for spiritual quest. Moreover, it is regarded very auspicious in religious rituals. Hindu belief is rooted on a perception that whoever wears eleven mukhi Rudraksha, s/he shall attain all the eleven heavenly virtues of Lord Eleven. Srimad Devi bhagavat regards twelve mukhi Rudraksha as a representation of Lord Sun. Hence, it is the embodiment of twelve different facets of god Surya. Twelve virtues of god Surya are light of universalfriendship, light of compelling radiance, dispeller of darkness or ignorance, shining principle, all pervading light, light of mystic fire, golden colored one healing gold, light obvious and subtle as at dawn and dusk, light of the sage an aspect of Vishnu, light of enlightenment, light that removes afflictions and brilliance the light of intelligence. Lord sun blesses an owner of twelve mukhi Rudraksha with a life of a Rich people surrounded by unlimited luxury, wealth and authority. As a representation of god is known as Lord Indra, thirteen mukhi Rudraksha possesses divine power. Therefore, it inherits virtues like love, affection, beauty and attraction as its attributes. It empowers a person with an ability to woo another individual with irresistible charisma. Its wearer or user will further have a power to control her/his own destiny. Besides humans, animals will also remain bewitched and besotted under the influence of the wearer's spell. 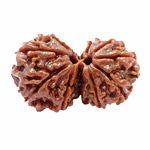 Thirteen mukhi Rudraksha unfolds immense spiritual gain, success, physical and mental strength, good luck, power of authority, charismatic personality, honor, employment opportunity, wealth, worldly pleasures, high level of social and financial status and glory . 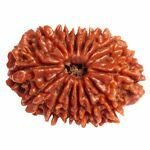 This Rudraksha is also recognized as a Divine Gem (Dev Mani). This Rudraksha is believed to have come directly from the eyes of Lord Shiva who himself wears this bead. 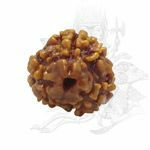 This Rudraksha activates the Ajna Chakra located on the forehead, exactly between the two Eyebrows thereby giving the wearer an ability to visualize the future and enabling to make correct decisions. 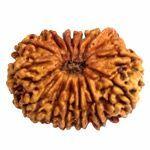 This Rudraksha also represents the 3rd eye of Lord Shiva and hence the wearer is safeguarded from all kinds of Negativity, Negative Energies and Enemies. Saturn is the ruling planet of Fourteen Mukhi Rudraksha. 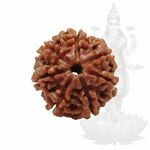 Hence, this Rudraksha is very helpful to pacify the harmful effects of planet Saturn. 15 Mukhi rudraksha personifies Lord Pashupatinath who is incarnation of Lord Shiva. This incarnation of Lord Shiva is said to control the animal instincts of the wearer thereby making him a sober and better human being. 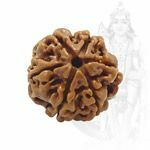 This Rudraksha bead helps the wearer to channelize his thoughts in a correct direction and remain focused. 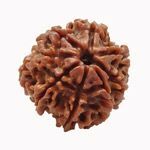 A 15 Mukhi Rudraksha has all the virtues and powers of 14 Mukhi Rudraksha and as a reward, it is also said to be a very powerful Rudraksha to bless the wearer with immense Wealth. A Sixteen Mukhi Rudraksha is recognized as Jay (victory) Rudraksha and the wearer attains victory at all levels. It is said that it assists the wearer to emerge victorious in new undertakings, in existing tasks & undertakings & in other phases of life. It is very rare Rudraksha. It secures the wearer as well as the house in which it is kept. It supports the entire family to attain victory in all directions. A 16 Mukhi Rudraksha is said to make the Swadhisthan Chakra strong which represents the water element in human body. 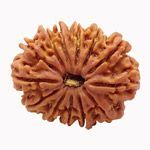 This Rudraksha releases a person from the anxiety of Theft, Fire, Losses, Reduced Income, Defamation as well as Accidental Death. A Rudraksha having an elevated elephant like trunk on its surface is recognized as Ganesha Rudraksha. The blessings of Lord Ganesha who is also known as “Vighna Harta“ i.e. 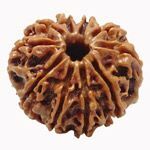 destroyer of obstacles, are showered on the person who wears this Rudraksha. This bead is very good for those people who are always facing obstacles in whatever they do. There are many unfortunate people who are destined to face obstacles whenever they plan to start something new. Their confidence starts breaking down due to this failure. This bead builds their confidence by destroying hurdles and giving success. Two naturally inter-connected Rudraksha represents the couple of Lord Shiva and Goddess Parvati so it is named after them as “Gauri Shankar Rudraksha”. It represents a united form of Lord Shiva and Goddess Parvati. 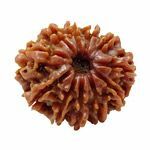 This is a very powerful Rudraksha for improving relations between husband-wife, family and friends, and is considered as a best Rudraksha for bringing peace and harmony in the family. Those people who are searching for a good life partner for marriage should wear this Rudraksha. 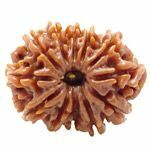 Couples who are facing fertility problems should also wear this Rudraksha. Garbh Gauri Rudraksha is almost identical to a Gauri Shankar Rudraksha. In Gauri Shankar Rudraksha, both the beads are of equal size where as in Garbh Gauri Rudraksha, one bead is smaller than the other. Hence in this Rudraksha too, there are two beads connected together naturally, but one bead is bigger which represents Goddess Parvati (Mother) while the other bead is smaller which represents Lord Ganesha (Son). Garbh Gauri Rudraksha is almost identical to a Gauri Shankar Rudraksha. In Gauri Shankar Rudraksha, both the beads are of equal size where as in Garbh Gauri Rudraksha, one bead is smaller than the other. Hence in this Rudraksha too, there are two beads connected together naturally, but one bead is bigger which represents Goddess Parvati (Mother) while the other bead is smaller which represents Lord Ganesha (Son).